Actually helping, say, impoverished Native Americans who live on a reservation would take too much effort. So much easier to bash any offender for uttering a few words; it won’t help the situation, but it sure makes members of the Outrage Brigade feel so much better about themselves. Now, if I wanted to grandstand, I could go ballistic on Colbert’s politically incorrect joke: My daughter, Jing Jing, is Chinese. How DARE you make fun of Asians! How DARE you call them “Orientals”! But it’s a joke, and not even a mean joke. It didn’t criticize Asians or perpetuate some negative stereotype. It was aimed at lampooning Dan Snyder’s response to the name-game. Doesn’t the intent of a joke matter at all anymore? Some people got it. The Colbert tweet instantly it got 193 retweets, 255 “favorites.” “Do the Mexican American community next,” said one tweet from (maybe Latino?) Fernando aka @fedmex. But the Outrage Brigade descended. 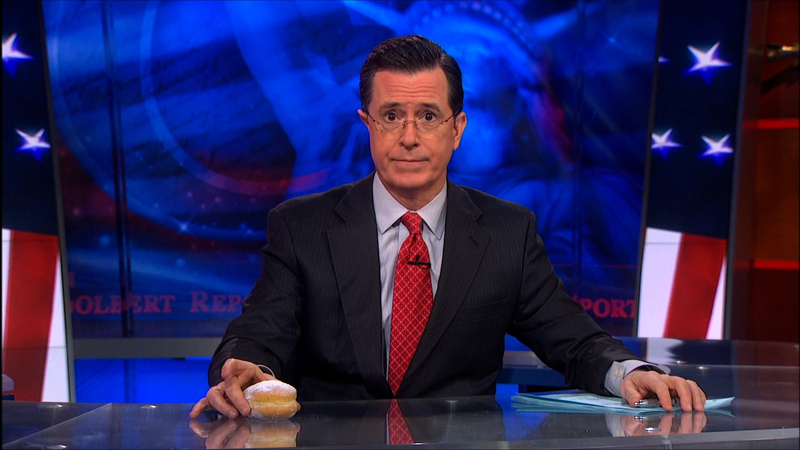 “There is a line between satire & offense that ‪@StephenatHome cannot dance over. He tramples it. For transphobia & racism, ‪#cancelcolbert,” intones @GrimalkinRN. “You think that Colbert’s satire is OK? Um, no. It’s disgusting & devalues the lives of Asian & trans folks. ‪#cancelcolbert,” chimed in @christocarbone. Oh, wow, aren’t they so moral, such crusaders for good? The comedian himself—you get the guys? Comedian?—puckishly weighed in with a tweet of his own: “I share your rage. Who is that, though? I’m @StephenAtHome.” The show itself answered him: “For the record @ColbertReport is not controlled by Stephen Colbert or his show.” And both tweets used the hashtag #CancelColbert, only too happy to surf the outrage-wave. Whyizzit that liberals, when they don’t like a silly JOKE made by someone, seek to wipe the comment—and the person who said it—from the face of the Earth? Cancel the entire show because of one line? Liberals used to champion the First Amendment’s right of free expression. Now they just want to stamp out any disagreement. Why don’t they just get a life? And focus on real deeds, real fixes, and not just the war-of-words?